Jones Lang LaSalle India, one of the largest international property consultancy firms in the country, has elevated CRE (counselor of real estate) specialist Nitish Bhasin as the managing director of its India markets business. Bhasin has been managing director of Delhi-NCR markets for the company. The firm said on Wednesday that in the new role, Bhasin will focus on optimising the real estate portfolios of the firm's clients and growing its market share across regions in India. He will pitch in with expertise in scouting out latent transaction opportunities and deal structuring besides leveraging on relationships with occupier and developer communities across India. Prior to joining Jones Lang LaSalle in 2003, Nitish was senior consultant with PwC where he was instrumental in managing a large number of real estate and urban infrastructure engagements. 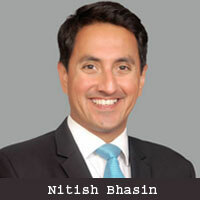 "Bhasin is equipped to strategise and execute end-to-end real estate solutions for our corporate real estate clients. He is fully wired into the commercial real estate markets in Delhi NCR, Bangalore, Hyderabad, Mumbai and beyond, and will play a pivotal role in capturing the wealth of CRE business that defines these markets," said Anuj Puri, chairman and country head, Jones Lang LaSalle India. Gurgaon-based Jones Lang LaSalle India is a part of an international real estate consultancy network which provides services such as agency leasing, capital markets, transaction structuring, fund raising, corporate research, transaction management and strategic consulting. The firm is also in the process of getting into real estate investments with a maiden PE fund.